As you might have noticed, I’ve been eating out a lot lately and not much cooking. Well, it’s Summer, almost…. and fun to go out and explore some new restaurants. 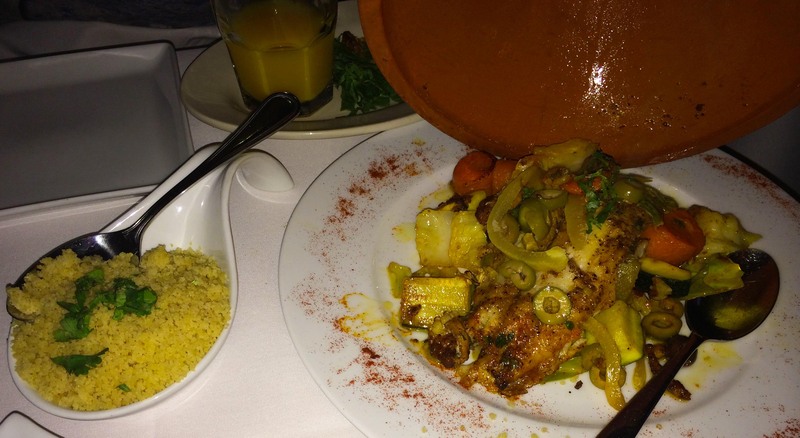 We ordered the Briwatts Platter, the one on the top, and the Fish Tagine, both absolutely divine. 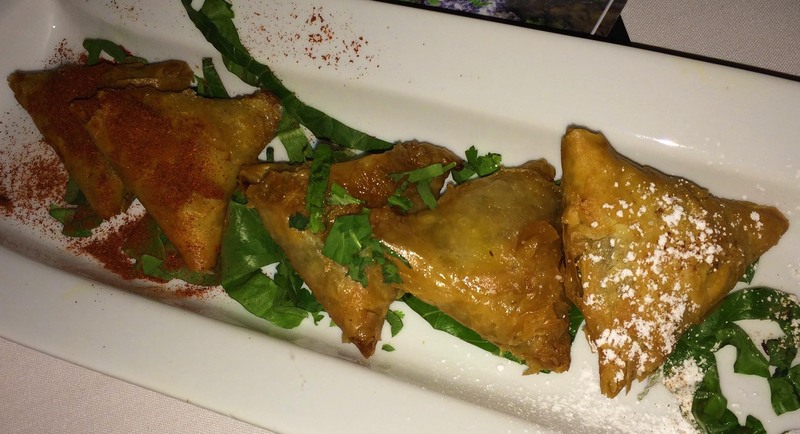 This entry was posted in Food, Health, Life, Tales, Thoughts & Adventures, Tourism, Uncategorized, US Cities and tagged Eating Out, Middle Eastern Food, Moroccan Food, Restaurants, Seafood. Bookmark the permalink.